Deborah von Donop is a Connecticut based interior and kitchen designer with a design firm in Fairfield County , CT with BFA in Interior Design, licensed with a NCIDQ certification, LEED GA, ASID and NKBA memberships and over 23 years of experience in the industry provide her with a strong background in design and construction, providing a variety of levels of design services, in person and online. “We like to fill homes with new products made incredibly well using natural materials whenever possible. The handmade environment is the new texture of luxury Interior Design. Deborah brings a breadth of knowledge to all her projects. She has spent many years working with Fortune 500 companies in Commercial, Retail and Residential Interiors, and additional experience in Project Management for Construction on interior renovations. Her career knowledge in the design industry is expansive covering over 25 years and a range of professional experiences and endeavors. Her current work as a residential designer for Kitchens and Home Living combined with her passion as a Decor Blogger keeps her involved in a variety of projects both as a freelance consultant and project designer. I offer a full-service interior design with a focus on Kitchen and Home Living. I work with clients in Connecticut, New York, and New Jersey and often works as an Owners Representative between homeowner, architect, and builder. dvd Interior Design is a trusted authority on home design, rooted in the idea that a beautiful life begins at home. With original decorating ideas, I invite clients to dream as it has been a lifelong passion to create a home that welcomes you and becomes your refuge. I’ve been helping clients in Fairfield County, (Greenwich, Darien, New Canaan, Ridgefield ) , Rye, Scarsdale, and New York City furnish their homes for over 22 years. I create homes that are beautiful and timeless, and I approach all environments with a holistic approach. I create rooms that capture and cultivates my client's sensibility with a focus on health and wellness principles. The result is a sanctuary for your life and your family. My design blog, dvd Interior Design is where I share resources and events happening in our industry. The blog also contains instructional videos of design tips and resources for professional products that will help you make any home magazine-worthy. My readers are nationwide and are searching for inspiration and solutions. 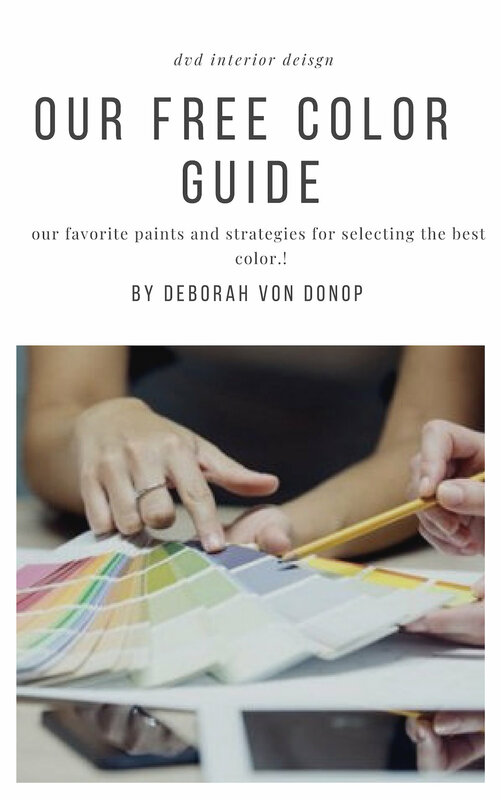 Check out the blog, as well as my shopping guides to solve your design dilemma! Each home is an artful and comfortable representation of my client's lifestyle A home is created over time, layered with stories and memorable objects, and lots of love. Deborah has been an interior designer since 1990 and been guiding clients nationwide since 1992 . She is a weekly columnist for dvd Interior Design blog, a trusted authority on home design, with an audience of more than 5,800 UMV. Since the creation of her website in 2014, dvd Interior Design has inspired readers to believe that a beautiful life begins at home. With industry updates, insights into how pros source products, candid conversations with top design entrepreneurs, and original decorating ideas, dvd Interior Design invites readers to dream. the Editor, and a regular Contributor to Blissfully Domestic and the author of many guest contributions including iBlog Magazine, Professional Organizers Magazine, Westchester Magazine and more. She writes weekly on design resources, highlights from industry events, and interior design topics aimed to educate and inspire her readers. She is available to discuss working on new projects and would love to hear from you. Contact her to learn more about my reach, influence and updated stats. Hosting a panel for Aspire Design and Home Magazine on Social Media for Interior Designers. I toured High Point Market and shared all that was new, here. My posts have been featured on iBlog Magazine, on creating a community for your site. I was interviewed on Luann Nigara's podcast " The Well Designed Business: We Talked Visibility For Your Business"
I've contributed to KBB (Kitchen & Bath Business) magazine and Blissfully Domestic on the "latest products seen at the yearly KBIS Market. I was selected by National Kitchen and Bath Association (NKBA) to judge the 2019 National Design Competition to be announced at the KBIS opening ceremony in January 2019. I had my KBIS (Kitchen and Bath Industry Show 2016) highlights published to KBB online. INTERESTED IN PARTNERING WITH DVD INTERIOR DESIGN MEDIA?